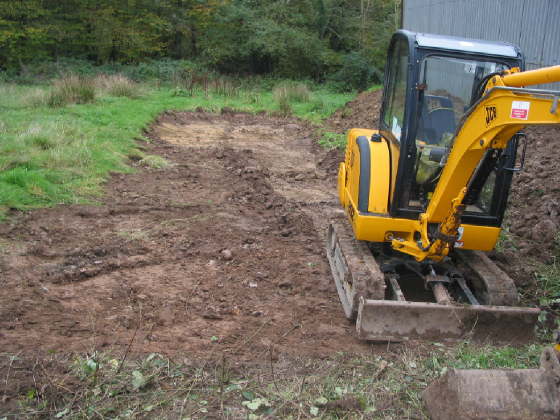 I had planned to dig a mud pond next year, but seeing how good the weather has been this late in the year I decided it was time to make a start, fingers crossed the weather continues to be good. Still have a long way to go, but at least I have made a start and I am ahead of schedule. 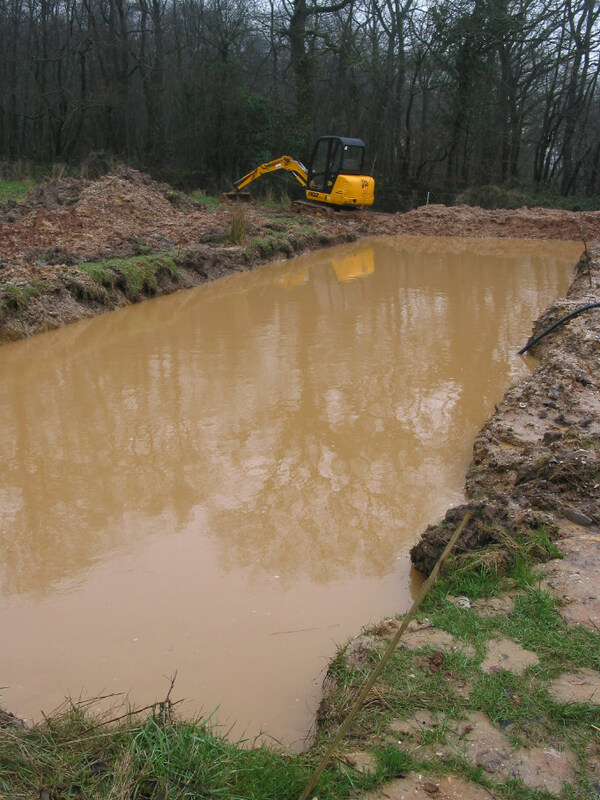 The mud pond is coming on, but the weather has now changed so the progress has now slowed. Good news is that I have hit clay and is looking more like a mud pond by the day with all the rain we are having. 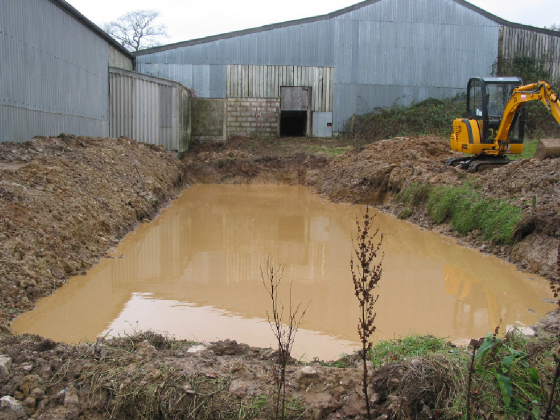 The mud pond is coming along nicely and should not take to much to finish. 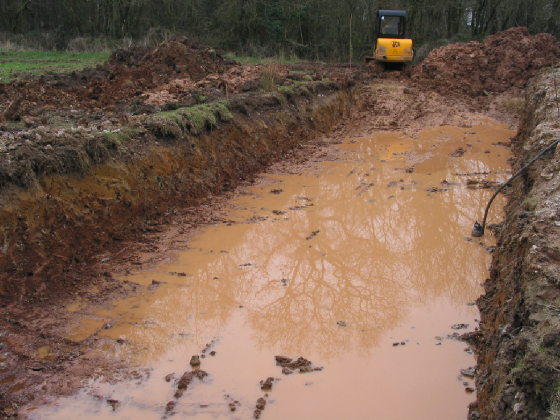 Have now finished digging the 1st mud pond, very pleased how it turned out and they look a good size as well. 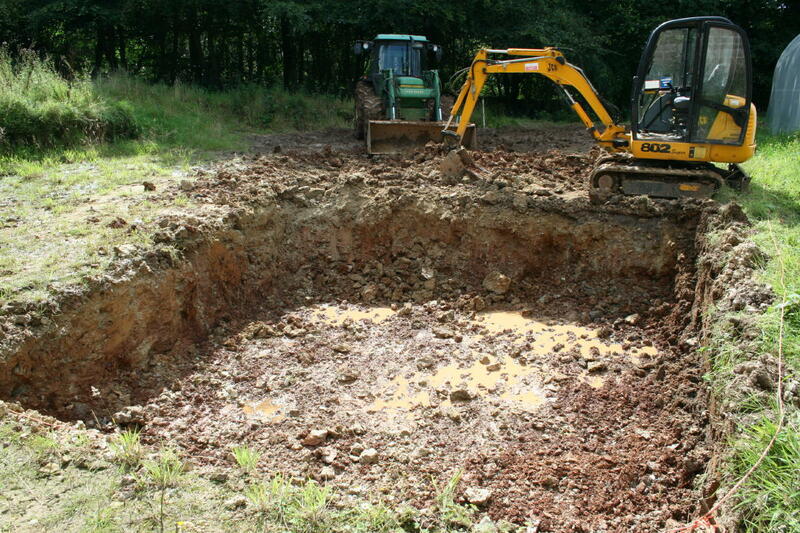 There is still a few bits to do but I have decided to make a start on the next mud pond. Things are coming along nicely and the weather has now improved, I also had a bit of spare time so have decided to dig my second mud pond. 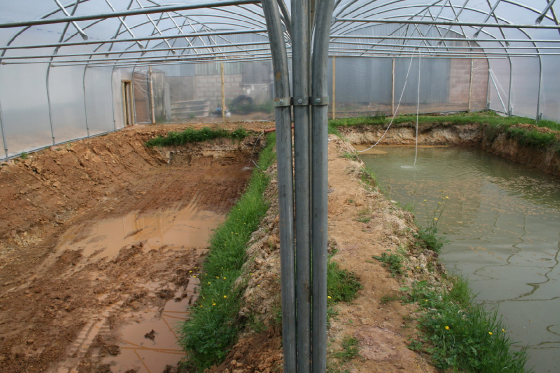 I have started digging this mud pond along side the other pond. 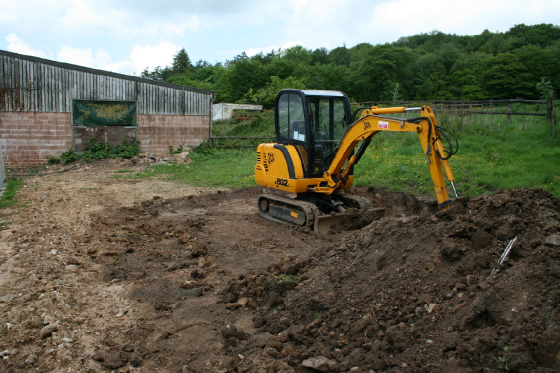 The digging has gone very well with the couple of dry weeks we have had, which is unusual for this time of year. 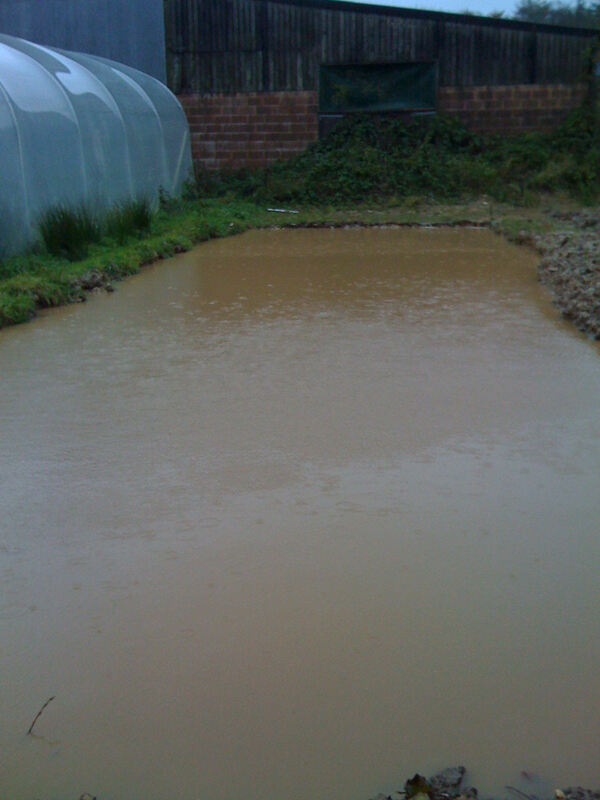 The pond is very close to finishing but the weather has now changed and there seems to be no end to the rain we are having and the pond has now filled right up to the top. 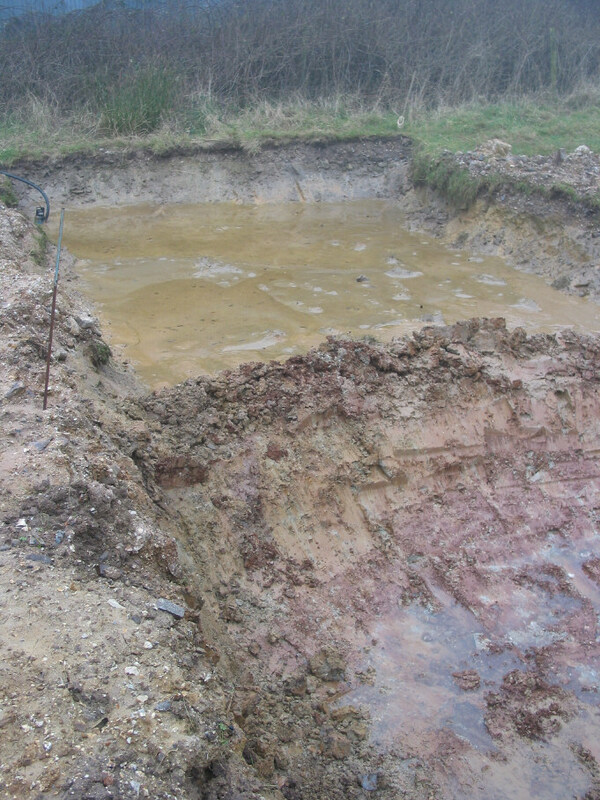 Mud pond 2 nice and full, with mud pond 1 filling up nicely. 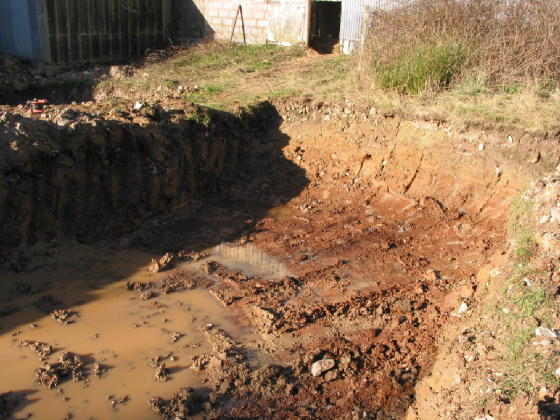 Seeing how the weather has changed and we have a dry week, which is good for this time of year, I have pumped out mud pond 2 , so I can dig it deeper. 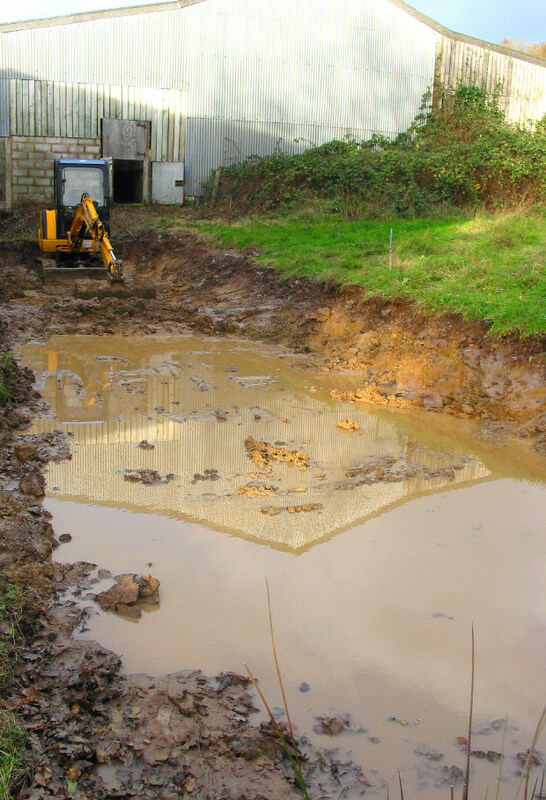 I did not manage to dig the mud pond deep enough the 1st time, as it started to rain and the mud pond soon filled up. 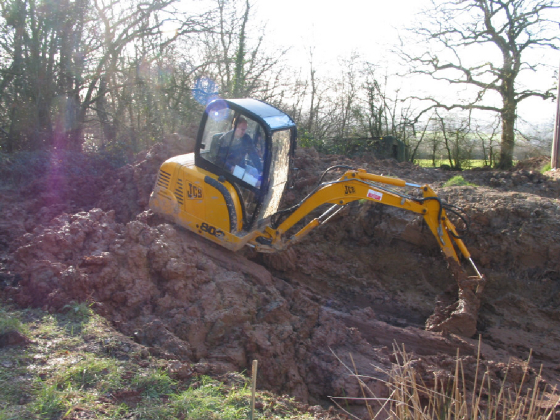 Just started to dig my way into the mud pond, so I can make it deeper. There was a bit of drizzle yesterday so this made the clay nice and sticky. 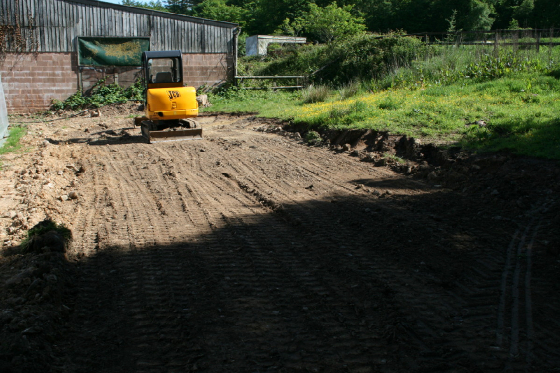 I am at the halfway point, the digger has been removing the clay fairly well. So with any luck it should not take to much more time to complete. Finally managed to dig the last half out, still have to tidy up the bottom and straighten up the sides, but at least the biggest part of the job is done. The digging went very well until I hit some very dry clay in the right hand corner, this slowed the dig down a bit, but I got there in the end. 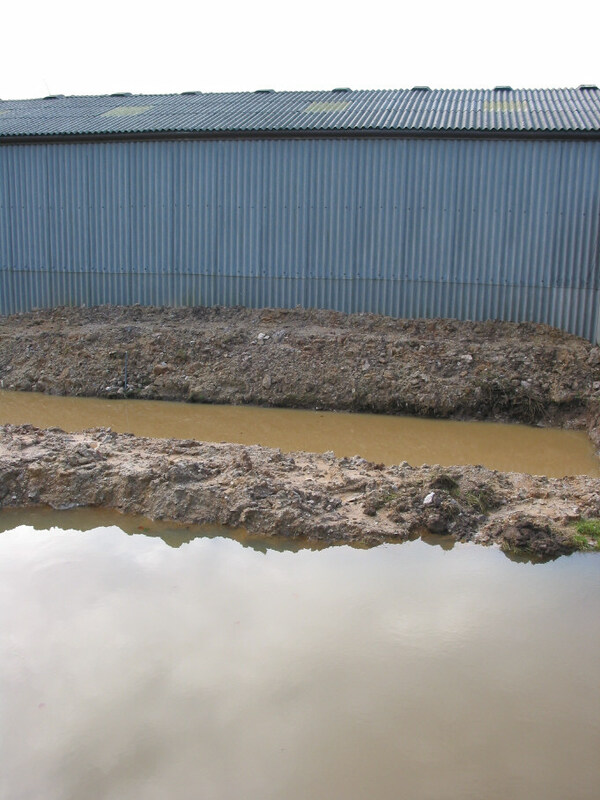 I needed to straighten up the sides, then all I have to do is clean out the bottom of the mud pond and I can then start filling with water, so not far to go now. 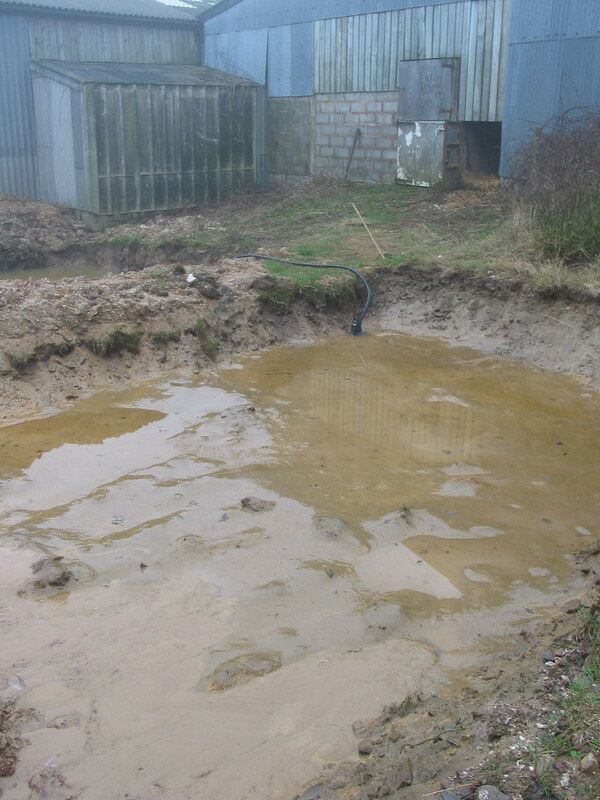 Have now straightened up the sides and removed all the spoil from the mud pond, so I can start filling the mud pond back up with with water. 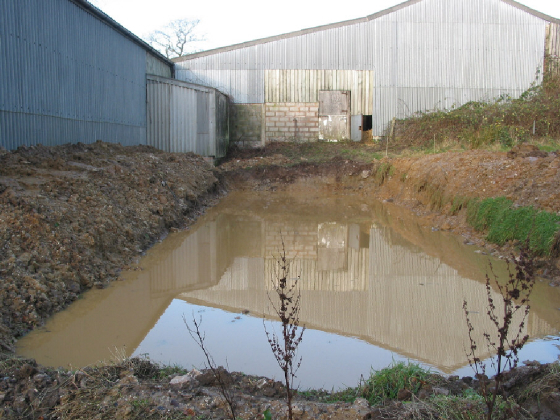 The mud pond is now filling back up and looks finished. Seeing how I have a bit more spare time at the moment, I decided to start leveling the ground out, this could turn into mudpond number three if all goes well. Looking good, all it needs now is a hole in the ground for it to turn into a nice mudpond. 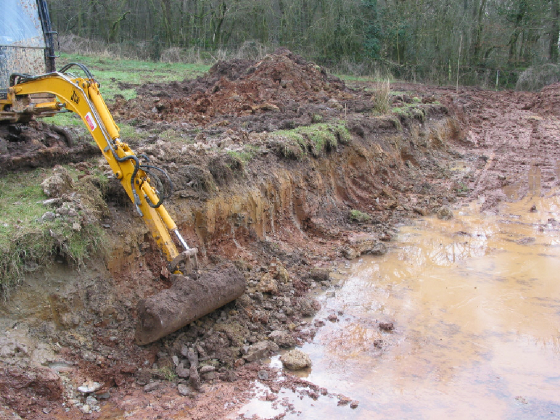 I have started to dig mudpond 3, as you can never seem to have enough ponds. At least this time the weather is better than it was when I was digging the other mudponds. The dig is going well and as you can see I am getting close to the halfway point. 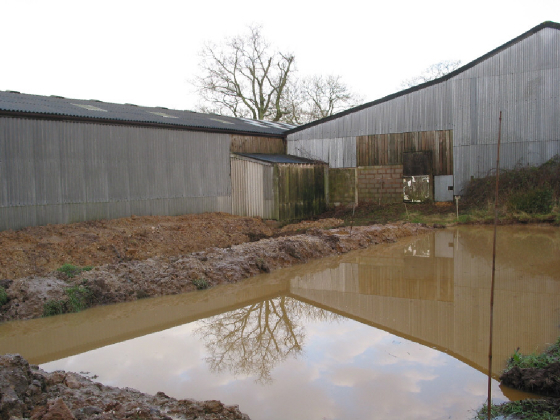 As you can see mudpond 3 is now finished and with all the rain we have been having lately, it has now filled up. 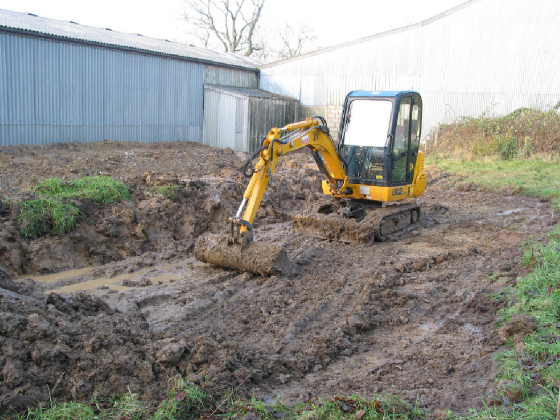 While I was on the digger, I decided to level out the ground alongside mudpond 3, just in case I decide to dig another mudpond.